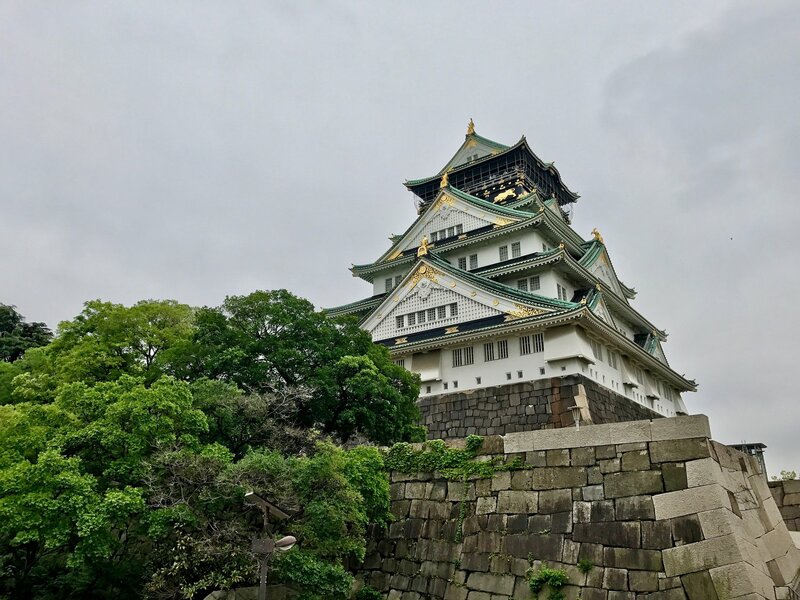 To start your day, head over to Osaka Castle. The closest train station is Osakajokoen, which is a 10 min walk away from the castle park. 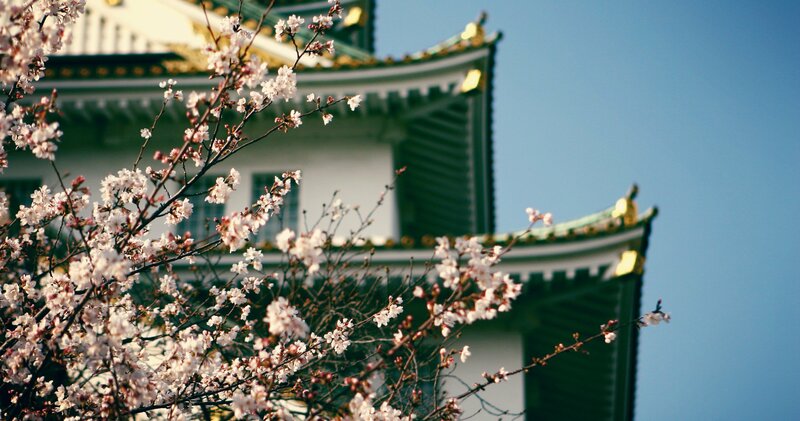 Osaka Castle was built in the 1500s and is one of Japan’s most famous landmarks for its history and beauty. Even though this landmark is popular amongst tourists, it’s somewhere you don’t want to miss out on even if you only have a short time in the city. This castle holds significant historical importance for Japan. Toyotomi Hideyoshi planned to unify Japan and have Osaka Castle be the heart of the new Japan. Instead he was killed and the castle was destroyed a few years later. Over the course of the next centuries, the castle was rebuilt and demolished, most recently in the air raids during World War II. Inside the castle, you’ll be able to see exhibits and learn about the history of the castle and Japan for an entrance fee of 600 yen. You’ll also be able to go to the top floor of the castle, which is a great lookout point that offers some amazing views. If you don’t want to spend your time going through the displays, you can skip the facts and take in the incredible architecture from the park that surrounds the castle. This massive green space is the second largest park in the entire city. There are often performers or concerts going in the park and if you’re lucky enough to be there in April, it’s a great place to see the cherry blossoms bloom. Before you leave for the next destination, get something light for lunch at one of the many restaurants surrounding the park. For example, you could go to Menya Ageha, which is a cheap and popular place for ramen. You could also try Tokumasa Udon which is a great Udon place. Make sure you save room for dinner though because you’ll be gorging yourself in the Nanba district in no time. The next destination on our itinerary is the Umeda Sky Building. To get there from Osaka Castle takes about 40 minutes on transit or 15 minutes if you hop into an uber or Taxi. 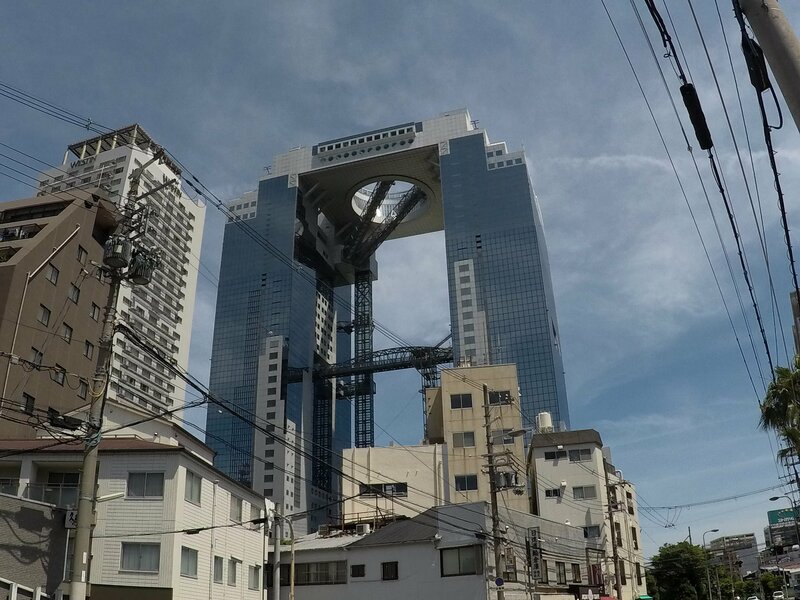 This building is one of the tallest and most recognizable landmarks in Osaka and it offers incredible views of the city. Admission is 1000 yen and it’s open until 22:30 pm.On your way up you’ll be able to learn about this history of the building and see a beautiful hanging garden. Once at the top, views from this lookout are breathtaking at any time of day. If you can, time your visit with the sunset and you’ll be able to see mother nature’s light show play out over the city. The final destination on our itinerary is probably the most exciting on the list. For the rest of the day and evening, head over to the Namba and Minami districts where you’ll be able to eat the best food and see some amazing sights. It takes about 25 minutes by transit to get here from the Umeda sky building or 15 minutes by car. Once you’ve arrived, take the time to wander aimlessly around these bustling districts and take it all in. 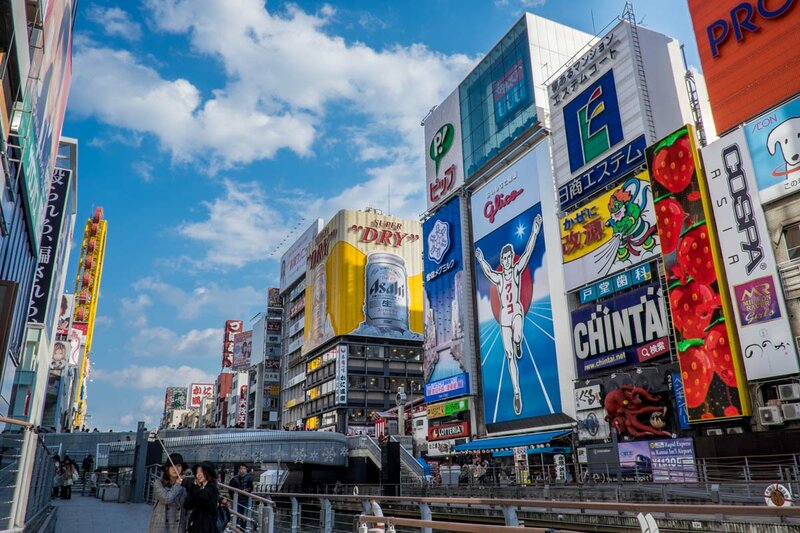 You could head over to Dotonbori which is an area known for its neon lights. It runs along the Dotonbori canal and offers a multitude of bars and restaurants. If the touristy vibe isn’t your thing, you could throw it back to the 17th century and walk down Hozenji Yokocho, which is a small alleyway that’s been preserved to look like the Edo period. For some more modern culture, check out Den Den Town, which is full of second hand electronics stores that sell CD’s and video games as well as stores that sell themed merchandise for Anime and Manga fans. While you’re walking around, don’t forget to eat because this is one of the best parts of the city to grab a bite. The food in this city is extremely delicious because Osaka’s known as the kitchen of Japan. 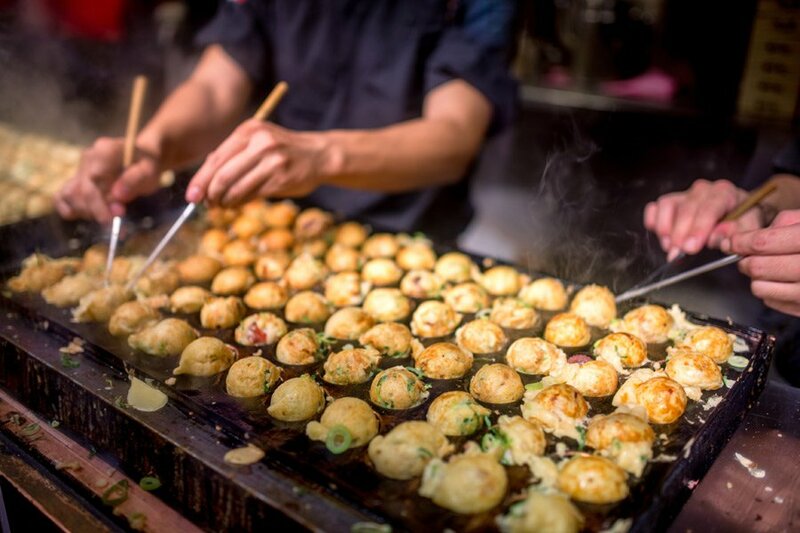 As one of our Lokafyers said, “Nobody should leave Osaka without having some Takoyaki and Okonomiyaki.” If you’re starving, some other great food to try while you’re in Osaka is Negiyaki, kushikatsu and ramen. Food is very much the essence of Osaka people so don’t hold back. The rest of your night is up to you, but whatever you choose, make sure to eat something while you’re there!